Focus on Membership: What Does ASPA Mean to You? As the nation's Election Day approaches, ASPA too will hold its annual election. Balloting will take place over the course of four weeks, providing you with plenty of time to submit your ballot and elect your District Representative and Student Representative (students only) of choice. ASPA is a volunteer-led organization and our bylaws updates last year ensured that our leadership will continue to be democratically elected by our members. Use your power to have a voice in who leads ASPA going forward! You can find the slate of candidates on our website, as well as biographical information and candidate statements. Review the materials and look for your ballot in your email on Monday! Note: Only active members in good standing will receive ballots. If you wish to vote for ASPA leadership, you must renew your membership (or join ASPA!) by Sunday, October 28. If your membership has expired, you will not be permitted to vote. Balloting will close on November 26, providing you with four weeks to make your voice heard and have a say in ASPA leadership in the future. Prove that democracy is alive and well in ASPA and vote this election season! News coverage has been anything but quiet for the past few weeks across some of the most important issues affecting public administration. Most notably, with the resignation of OPM Director Jeff Pon, civil service reform has made headlines as the new interim director, Margaret Weichert, has worked to accelerate the Trump administration's plans to reorganize the federal government. Additionally, as we get closer to Election Day, infrastructure, cybersecurity and equity issues have been prominent in news cycles as they all affect campaign messages to drive voters to the polls. Below is a partial list of some of the most important news stories in recent weeks; we would need the rest of this newsletter to mention them all. Happy reading! In late 2017, the City of Miami launched its Miami Innovation Academy, a series of innovation/process improvement workshops where employees learn valuable techniques (process mapping, waste identification, experiment design) that help them clearly see and solve problems. The City's procurement department took the lead in having the entire department trained and used the techniques to streamline procurement processes and achieve savings in time and money. Attend this webinar and learn more how you adapt these processes for your organization. Nov. 8 | 2 p.m.
What does your ASPA membership mean to you? 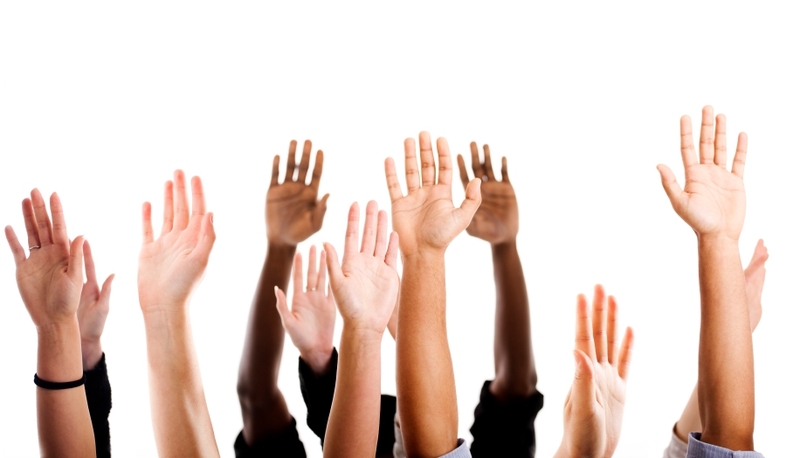 What is the most important program, product or service you experience as an ASPA member? The answer to each of these questions is different for every member. For some, it is information-sharing—news services, newsletters like this, journals like Public Administration Review, our webinar series and regular updates about the state of the discipline. For others, it is the Annual Conference and the opportunity to present and defend research, and get feedback from peers and colleagues. Still others value most the connection they experience through local Chapters or knowledge-based Sections. Whatever your reason, how loud are you advocating for the ASPA mission and why you are part of it? Like all member-based societies and associations, ASPA works hard every day to promote ourselves to new members and enable current ones to continue to belong. In the face of many of our members' challenges (budget cuts, strains on time and resources and more) this task only becomes harder. But our work is made easier when you, our devoted ASPA members, talk to your peers and colleagues about why ASPA is important to you. When you feel ASPA plays an integral role in your career and champion that to your friends, colleagues and peers, others notice! Are you proud of your ASPA membership? Help us spread the word! With your participation, not only can we continue to build ASPA into a powerful body united by one mission, Advancing Excellence in Public Service, but also we can do it better than ever before with the most diverse and powerful group possible. This is our challenge. We look forward to your help in fulfilling it. 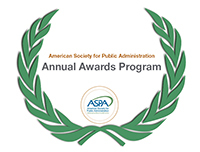 ASPA's Annual Awards Program is your opportunity to nominate a colleague as one of public administration's most dedicated public servants. All of our awards are listed online by name. And remember: ASPA membership is not necessarily a requirement to be honored with an award. City managers, local government service providers, public health advocates, nonprofit executives, organizations and more are all eligible. Did you know that, through ASPA's partnership with Routledge, ASPA members now have discounts on book purchases and free chapters available for download? 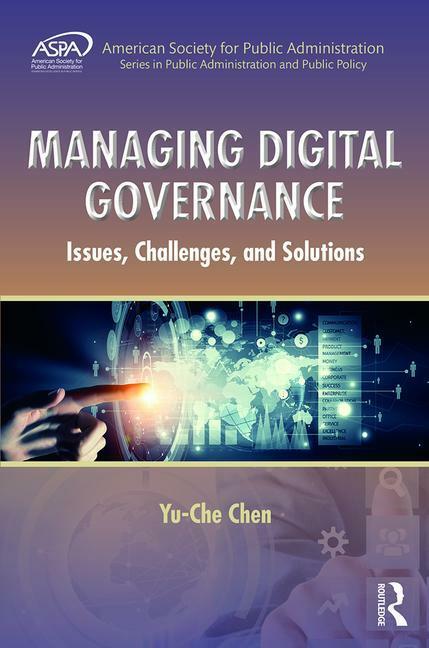 The book chapter currently available is an excerpt from Managing Digital Governance and is available on ASPA's designated page on the Routledge website. This resource explores some of the challenges 21st century public managers face in their efforts to provide online services to the citizens they serve, as well as how public managers can best create public values via strategic digital governance initiatives. This is your last week to register to join the National Academy of Public Administration as it kicks off a year-long initiative to name Grand Challenges in Public Administration at its annual Fall Meeting, Nov. 1-2, 2018. The Fall Meeting is an annual event bringing the Academy's Fellowship and the public together to share best practices, learn from one another and address critical issues of good governance. Fellows of the Academy are former cabinet officers, Members of Congress, governors, mayors and state legislators, as well as prominent scholars, business executives, nonprofit leaders and public administrators. We hope you will join us for two days of learning, networking and progress in making government work and work for all. Click here for more information. NISPAcee has opened its call for applications for its 27th Annual Conference, taking place May 24-26, 2019 in Prague. Its main conference theme will be, "From Policy Design to Policy Practice." Societal problems, as well as policy trials to solve them, are proving to be of an increasingly complex and despicable nature. This has brought about an even higher demand for evidence in the wider environment in which those problems arise—and the right answers on how to solve them must be found. Students, scholars and practitioners from the field of public policy and public administration will meet to share theoretical perspectives, empirical findings and practical experiences in order to enhance the common competence of how to think and what to do in such a demanding context. All applications and proposals are due Oct. 31, 2018. Click here for more information. The African Association for Public Administration and Management (AAPAM) is planning its 39th Annual Roundtable Conference, which will take place in Gabarone, Botswana, Nov. 6-9. This year's theme will be, "Resourcefulness, Integration and Inclusivity; Fundamentals for the Transformation of Governance and Public Administration in Africa to achieve the Agenda 2063 and Sustainable Development Goals." If Africa aims to achieve the transformational goals stipulated in the Agenda 2063 and SDGs 2030, it is essential to tap into the vast resourcefulness of its people by deepening economic and political integration and embracing the imperative of inclusivity to ensure all African people are included in the transformation agenda. Emphasis on key areas such as innovation, resourcefulness, integration and inclusive growth will move Africa from its current marginalized state to a dynamic member of the international community. Click here for more information. The South African Association of Public Administration and Management (SAAPAM) has released its Call for Papers for its 2019 conference, to take place May 7-10 at the University of Mpumalanga, Nelspruit. The theme of the conference will be, "Public Affairs, Governance and the Fourth Industrial Revolution." Political parties in government are often considered catalysts in providing interventions to addressing some of these basic human needs issues in cases where they have collective value for a society. Classification of government in ministries and departments is an example of providing a focused approach to identify those needs which are inherently to the benefit of society as opposed to individual or private. This begs for an art of public affairs and governance to provide institutional mechanisms to realize set goals for each area. All abstracts for consideration are due by Nov. 30, 2018; full papers will be due Feb. 28, 2019. Click here for more information. Fees for the two-days courses are $350. Click here to learn more about the executive education program and to register. The ASPA Section on Public Administration Research (SPAR) invites your nominations for the SPAR Annual Best Book award. This recognition is awarded at ASPA's Annual Conference. We welcome nominations for books on public administration published in 2018. A subcommittee of SPAR members will review each of the nominations and choose the award winner. The criterion for the award is a book that significantly contributes to research in public administration. All research methods are welcomed as are books across the wide range of public administration research. All nominations are due January 12, 2019. Click here for more information. New on the PAR website! Check out the newly posted symposium on our blog, The Bully Pulpit. This symposium looks at corruption around the world. The centrality of this topic to the practice of public administration is disproportionate to the number of published articles on the topic: Only seven articles published in Public Integrity over the past two decades addressed it directly. This dearth of discourse may reflect the Friedrich-Finer debate about what best prevents unethical conduct. If the problem is internal, ethics education is needed (Friedrich, 1935); if it is external, e.g., political superiors and laws, then training is needed (Finer, 1936). Yet this debate antedates Friedrich-Finer by more than two millennia. Aristotle (1958) called ethics "practical philosophy" and, in his estimation, professionals apply theory competently in a way positively impacting both life and the workplace in meaningful ways. This application of "pure" virtue in practice raises the importance of teaching professional ethics and the perennial question associated with it, namely, what's the right thing to do and how can individuals be encouraged to do it?